Nestled on a 524-acre wildlife and nature preserve, University of Houston-Clear Lake has become a cornerstone of higher education along the upper Gulf Coast of Texas. Since opening its doors in 1974, the university has awarded more than 53,000 degrees.UH-Clear Lake emphasizes high academic standards through teaching, research and community service and delivers outstanding educational opportunities in a traditional classroom setting using the latest instructional technologies, as well as cutting-edge distance learning. The Schools of Business, Education, Human Sciences and Humanities, and Science and Computer Engineering offer bachelor's degrees in 39 fields of study and master's degrees in 45 fields of study. 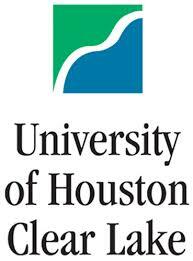 In 2007, the university began offering its first doctoral degree, the Doctor of Education in Educational Leadership.In its short history, UHCL has earned a distinctive reputation as a community-minded, partnership-oriented university. UHCL has developed partnerships with area businesses, organizations, schools and individuals that enhance the region's educational, economic, cultural, scientific and professional environment. Office of Veteran Services Box 177.